Our condo is in a 5 year old building facing onto a fabulous marina. 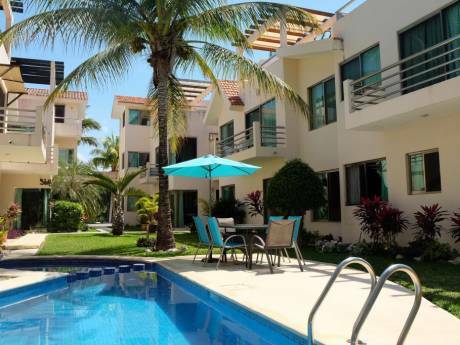 It is a large, modern, 2 bedroom, 2.5 bathroom ground floor condo, with a terrace at the back and a pool with a palapa-coverd bar with seats in the water. We have air conditioning and ceiling fans throughout and it is furnished in Mexican style with king sized beds. we have all the amenities including high speed wireless internet connection, stereo, a 52 inch flat screen TV, blue-ray disc and cable. There is also a TV and DVD in the 2nd bedroom, along with many DVD movies. We are a middle aged professional couple that are semi-retired. We have no children living with us. We are Canadian, well traveled and very respectful of peoples property. We are hoping to swap for a place in Vancouver (city) as we wish to locate near our families for approximately 6 months. We are open to shorter and longer arrangements as well. We have done several successful swaps so far and can provide references. 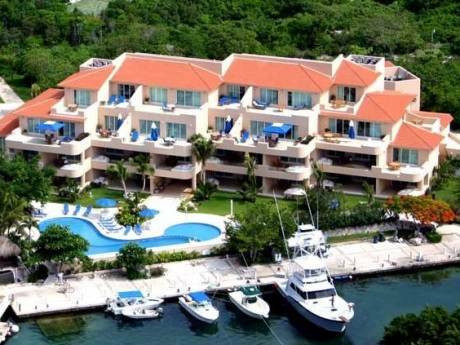 The condo is right on the marina at Puerto Aventuras (check out http://www.casalunamexico.com , and http://www.puertoaventuras.com ). The marina has beautiful facilities including a 'marina center' with many shops, bars and restaurants serving all kinds of cuisine. Puerto Aventuras is famous for it's dolphins and manatee's and there are regular shows all day long. There are many party boats, fishing and diving excursions that operate from the marina. You can buy fresh fish from the boats. Close by are several beautiful theme parks, many Cenotes (underground caves and rivers for swimming and diving). We are only 15 minutes from Playa del Carmen, one of the most popular holiday spots on the Caribbean coast. 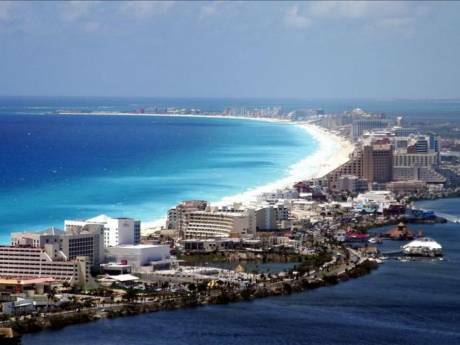 In addition, we are only 50 minutes from Cancun. Between the two cities, there is every type of shopping you can imagine. There are major Mayan archeological sites everywhere here. The most famous is Chichen-itza, a 2 hour drive along a road lined with Mexican villages.